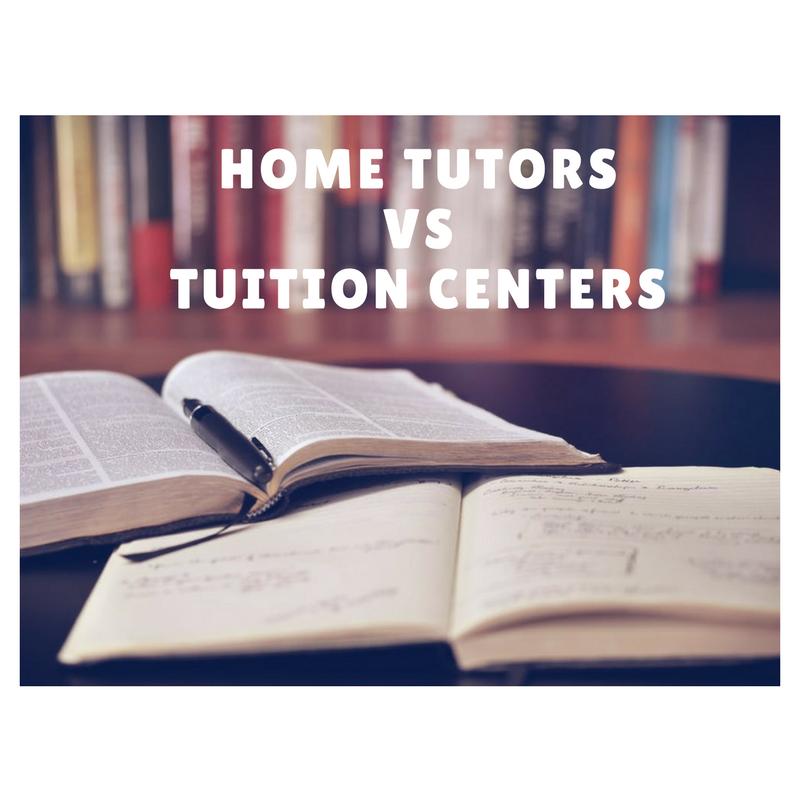 Home Tutors vs Tuition Centers. Which is better? Tuition is becoming an essential part of almost every student’s learning journey. Due to the increasing standard of exam questions and the challenging syllabus, tuitions are becoming an important aspect for almost every students to excel in their academics. There is no doubt that tuition provide something extra to students so, that they can perform well than others in this competitive system, but there is still doubt that which one is better for your child, Home Tutors or Tuition Centers? Let’s find out which one is beneficial for your students. Every child is unique and different in their performance, behavior, learning abilities and grasping power. They cannot be compared with one another. Some students are very brilliant and some need extra attention and care so that they are able to show their performances. Sending your children to best coaching centers of the town may not go well on their academic performance, as what works for someone else’s child may not work for yours. It is more advisable to remain open to various suggestions on improving your child’s grades instead of relying on tuition centers. At this point, Private Home tuition is the best option; in improving your children’s skill as brilliant student has to compete with other students and keep the pace of getting good scores while weak students have to struggle for getting good marks. Tuition centers have more students and this is because tuition centers usually conduct classes in large groups while home tutors tend to teach students individually, and the lessons are often at home. You can hire tutors by posting your requirement on thetuitionteacher.com or search home tutors from the list. Tutors can remain under your scrutiny at all times as tutors travel to your house and can adapt to your schedule. On the other hand, sitting in class with your child in most tuition centers is definitely not allowed. The benefit of hiring teachers from tutors providing agency is that teachers are qualified and you can demand for another one if you don’t like their teaching skills and obviously this is not possible at the tuition centers. The comparison between private home tutors and tuition centers is unlikely to end and depends heavily on its suitability for your child. It is a matter of your child’s future so, think wisely and opt for reliable tutors who can enhance knowledge and skills of your child in the positive way.